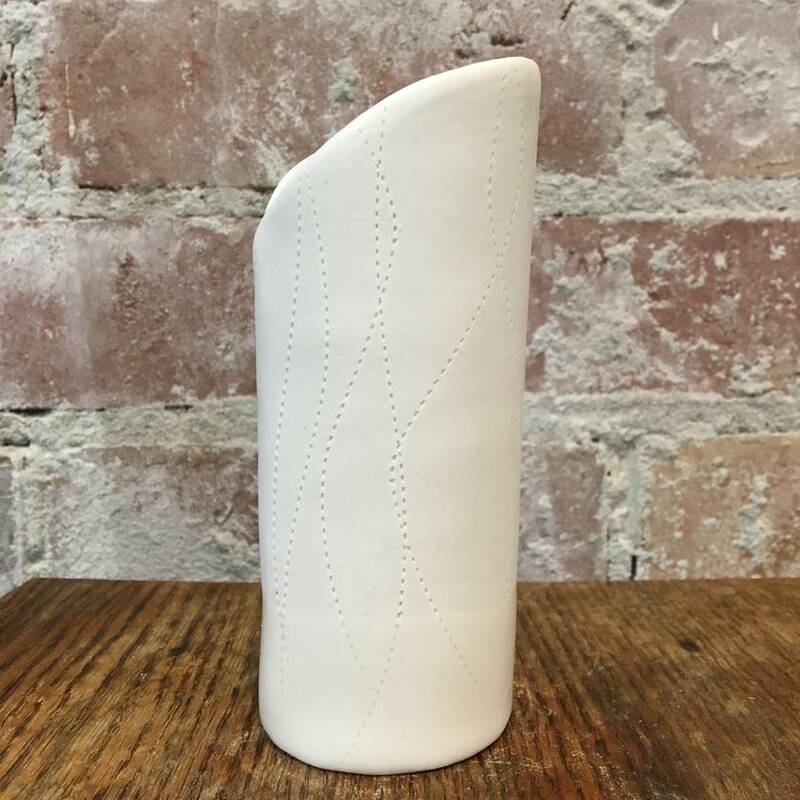 Fine porcelain wrapped and 'stitched' to form a Vase - This new vessel is part of a new series for Mudbird! 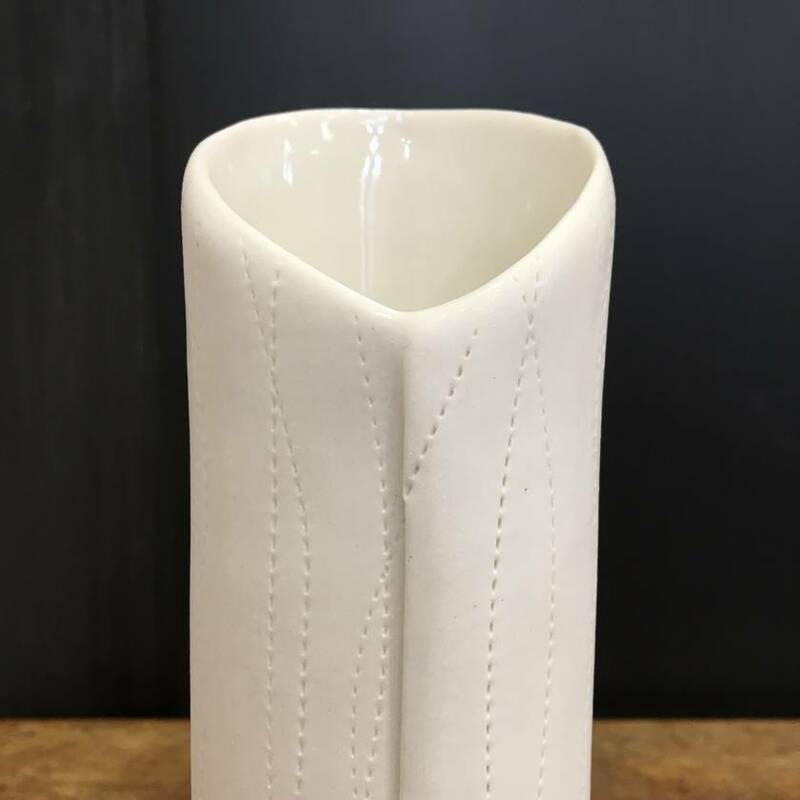 The exterior of the vase features a clear dip of glaze at the base and the beautiful natural feel of the white porcelain clay is featured to the top, the inside has a waterproof clear glaze liner. 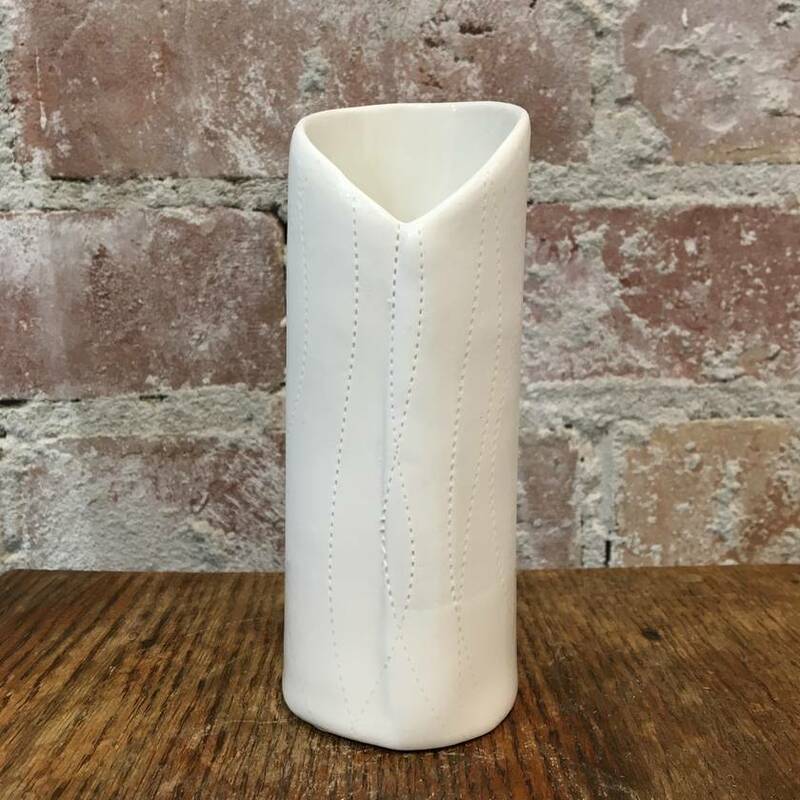 Measuring approximately 14 cm tall x 6 cm across, no 2 vases are alike due to the free nature of adding the 'stitches' - one will be carefully chosen for you. This finely detailed vase will be a treasured gift or lovely item for your home.